Herbert-ABS will be exhibiting at ABS booth 1928 at the 50th Annual Offshore Technology Conference on April 30-May 3. The conference will be held at NRG Park in Houston, TX. Herbert-ABS will be exhibiting at the 33rd Annual Connecticut Maritime Association Shipping Conference and Exhibition (CMA) on March 12-14. The Exhibition will be held at the Hilton Hotel in Stamford CT.
We are delighted to announce that Herbert-ABS will return to Marintec China this year. Visit us on stand #N2A49 to talk to our specialists at the Shanghai New International Expo Center. Herbert-ABS will be featuring CargoMax™ 2.1, LMP™ 2.1, and HECSALV™ 8.1 products. The event will be held from December 5 to 8. Drop by our booth Wednesday October 25 - Friday October 27 at the SNAME Maritime Convention in Houston, TX for a tour of the latest developments in our CargoMax™ 2.1, LMP™ 2.1, and HECSALV™ 8.1 products, or simply stop by for a chat. Herbert-ABS will be exhibiting at the Fleet Maintenance & Modernization Symposium (FMMS) 2017 on August 14-16. The Exhibition will be held at the San Diego Convention Center at 111 West Harbor Drive, San Diego, CA. Herbert-ABS's president Hendrik Bruhns is on the STAB International Standing Committee and will chair a section at the 16th International Ship Stability Workshop, ISSW2017. The workshop will be held from June 5 - 7 in Belgrade, Serbia. Join Herbert-ABS Software Solutions LLC at the American Bureau of Shipping booth for briefings on the latest developments in Load Management, Energy Efficiency and other ABS service initiatives, or simply stop by for coffee and a chat. Herbert-ABS will be featuring their CargoMax loading software, including the Direct Damage Stability Module for regulatory compliance, LMP for offshore assets and HECSALV for emergency response and salvage. IMO adopted guidelines and applicable IMO Code amendments for the mandatory carriage of damage stability verification instruments onboard new and existing tankers. The entry into force date is 1 January 2016 with existing ships having to comply by the first renewal survey after this date and no later than 1 January 2021. Through the CargoMax™ software, participants will get the opportunity to learn about how Operators can achieve regulatory compliance, utilizing state-of-the-art algorithms, at the press of a button. This is achieved whilst complying with the ship’s requirements for strength, intact stability, propeller emergence, visibility, freeboard and maximum deadweight. This complimentary Seminar will be held at the Metropolitan Hotel, 385 Syngrou Ave. 175 64 Athens, Greece on May 2, 2017 from 10:30 am to 12:30 pm. To register, please contact Luca Letizia at lletizia@herbert-abs.com. Regulatory aspects of loading computers: Actual IMO developments. Paris MOU, IACS, ABS, damage stability & salvage capabilities. Software Options: What changes are needed to the ship’s loading software? What is the benefit? Which results can be achieved? What needs to be observed? Visit Booth 1914 to talk to our specialists about training for HECSALV™ Offshore, Load Management Program, and executive training on offshore rig stability. Herbert-ABS will also be featuring the Mooring Advisory Module at the Offshore Technology Conference 2017. The Module can take a multi-segment definition of a vessel’s mooring lines, and calculate the mooring line-out changes necessary to get to a user-specified target position. The event will be held at NRG Park in Houston, TX from May 1 to 4. Herbert-ABS will be participating at the Sea Asia Exhibition. The 6th Edition of the Sea Asia Conference & Exhibition will be held at the Sands Expo & Convention Centre, Marina Bay Sands in Singapore from April 25 to 27. Contact Rob Tagg at rtagg@herbert-abs.com for more information. Herbert-ABS will be exhibiting at the 32nd Annual Connecticut Maritime Association Shipping Conference and Exhibition (CMA) on March 20-22. The Exhibition will be held at the Hilton Hotel in Stamford CT.
Join Herbert-ABS Software Solutions LLC at the American Bureau of Shipping Booth 2132 for briefings on the latest developments in Load Management, Direct Damage Stability for Tankers, Energy Efficiency and other ABS service initiatives, or simply stop by for coffee and a chat. Herbert-ABS will be featuring CargoMax for OSV/PSV with many vessel type specific features and the Trim & Draft Optimizer for fuel savings. The exhibition takes place at the Morial Convention Center in New Orleans, LA, US. Request a meeting with Hendrik Bruhns, or visit the Herbert-ABS Booth 2132 at your convenience during show hours. Herbert-ABS will be exhibiting at the Launch and Recovery Symposium 2016 on November 16-17. The Exhibition will be held at the Maritime Institute of Technology & Graduate Studies (MITAGS) at 692 Maritime Boulevard, Linthicum Heights, MD. Join Herbert-ABS Software Solutions LLC at our booth for briefings on the latest developments in Load Management, Salvage and Energy Efficiency, or simply stop by for a chat. 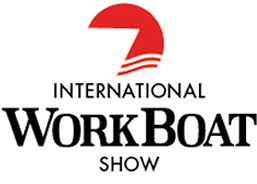 Herbert-ABS will be featuring CargoMax and the Trim & Draft Optimizer for fuel savings, and POSSE / HECSALV. Herbert-ABS will be participating in the American Salvage Association Annual Meeting and the Clean Gulf Conference & Expo. The ASA Annual Meeting is scheduled for Tuesday, November 1 at the Tampa Marriott Waterside hotel, Tampa, Florida. The Clean Gulf Conference & Exhibition will be held at the Tampa Convention Center located adjacent to the Marriott Waterside hotel from November 1 to 3. Contact Hendrik Bruhns, President at hbruhns@herbert-abs.com for more information. We invite you to visit us at the ABS booth B3.EG 200 at the SMM Hamburg. Herbert-ABS will be featuring CargoMax 2.1 with Direct Damage Stability for Tankers, an Advanced Container Module and Trim/Draft Optimization. The Exhibition will be held at the Messehallen in Hamburg from September 6 to 9. Join us for refreshments and talk with our specialists in ABS Booth #3.101 at the Metrpolitan Exhibition Center in Athens. Herbert-ABS will be featuring CargoMax 2.1 with Advanced Graphics, Direct Damage Stability, and Trim/Draft Optimization. The event will be held from June 6 to 10.